This Nest would make the perfect hospital gift for a pregnant friend but to be honest, it would look great on any bathroom shelf. It has got everything you need to give yourself a hug ("un calin"). 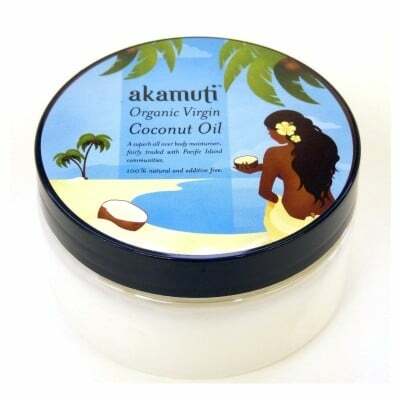 your choice of Akamuti cream: choose between organic and fairtrade coconut oil (a great body and hair conditioner), Shea and Olive Organic Body Butter (+£2.45) or organic Evening Primrose Day Cream (+£4). a beechwood pocket mirror from "Green Fibres": silky smooth foldable mirror with one regular and one magnifying mirror. 7 x 7 cm. a sisal soap bag: put your left over soap inside the bag and let the natural sisal yarn gently exfoliate your skin. an organic cotton washcloth from Green fibres: really soft and thick it is perfect post-birth, to keep your skin soft and to be used by the whole family. a handmade lavender pillow to put in baby's clothes cupboard (subject to availability) or a packet of easy-to-grow marigold seeds to plant and celebrate your child. The flowers are edible, self-propagating and a brilliant companion plants in the veg bed.. Please note: occassionally we have to substitute 3 organic cotton muslins for the organic terry washcloth if it's not available. Our hamper is packed in a bespoke simple brown box. Choose a plain one (perfect to personalise with a message on top or a drawing from the children) or from one of the 4 designs below.